Exciting programmes and discussions continued on day three of Africa Oil Week, with more in-depth discussions from the second Ministerial session where ministers gave the latest insights as to how their vision will attract international operators and their thoughts on national development strategies in the African upstream. Speakers included: Hon Minister Irene Muloni, Minister of Energy and Mineral Development - Republic of Uganda, Hon Minister Leopold Mboli Fatran, Ministers of Mines – Central African Republic. 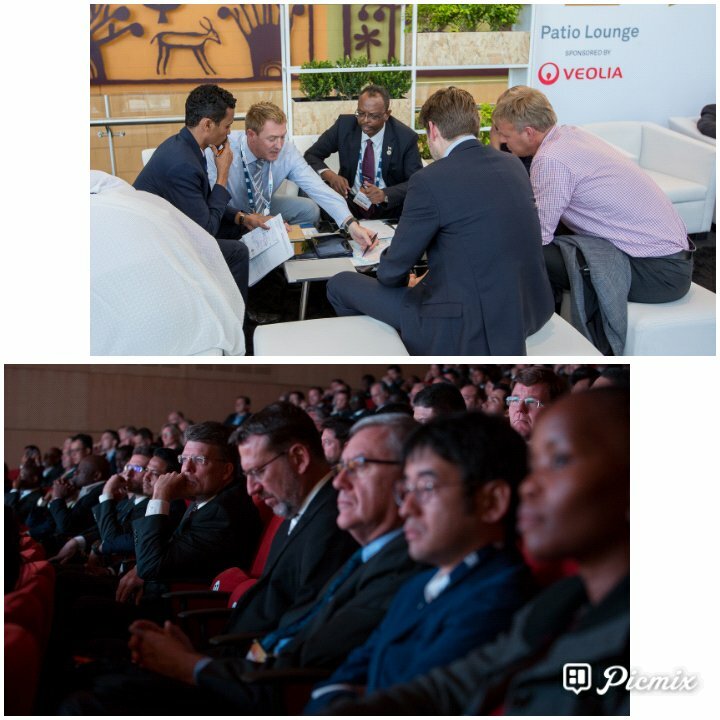 Africa Oil Week provided a transformative project showcase, presenting innovative projects in Africa to delegates demonstrating how to structure projects in a $70+ market. In addition, the African Local Content Forum, sponsored by Shell and held in partnership with the Nigerian Content Development Monitoring Board highlighted the 3 P’s of Local Content: Policy, People and the Private Sector. Each session provided knowledge into each area, with specific focus on frameworks, global best practice and lessons learned across the industry. Speakers included Victor Tivane, Director de Contuedo Local, ENH; Eng. Simbi Wabote, Executive Secretary, NCDMB and Betty Namubiru, National Content Manager, Petroleum Authority of Uganda. Special for this year, the evening ended with celebrations for Africa Oil Week’s 25th Anniversary, a significant milestone in the history of AOW, celebrating the achievements for the oil and gas industry in Africa. Attendees were entertained by South African Acappella Group - The Soil - all evening. Sam Dossou-Aworet, Chairman of Petrolin, exclusive sponsor of the 25th Anniversary Celebration, said: “This one week a year provides an invaluable and powerful opportunity for diverse companies and people from around the world to share notes, ideas, challenges and triumphs, to inspire one another and ensure discussion of best practices for our industry and the betterment of the countries wherein we explore and produce. I am so encouraged to see how much the African oil industry has shaped and influenced the global oil industry”.